Workstation crane is especially designed for workstations and production lines to move large and heavy items so as to improve the working efficiency and productivity, and also provide a safe working environment. It replaces manual lifting and requires only a few workers to move the loads. 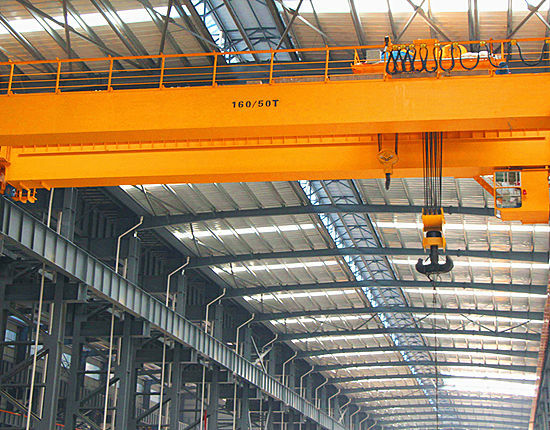 The overhead crane can achieve a smooth lifting and moving of goods from workstation to workstation or throughout the entire production line. 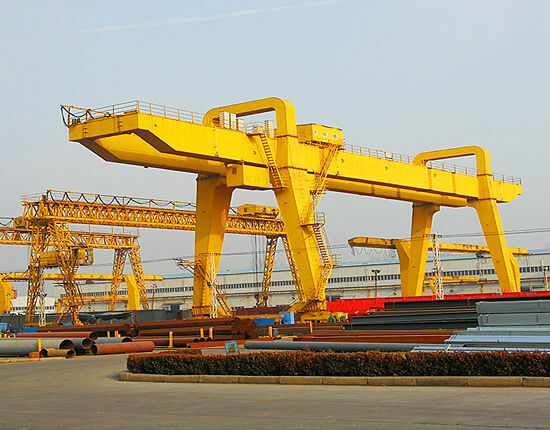 Workstation cranes are available in varied types including ceiling-mounted, free standing, monorail, single girder, and double girder designs to suit multiple lifting needs. 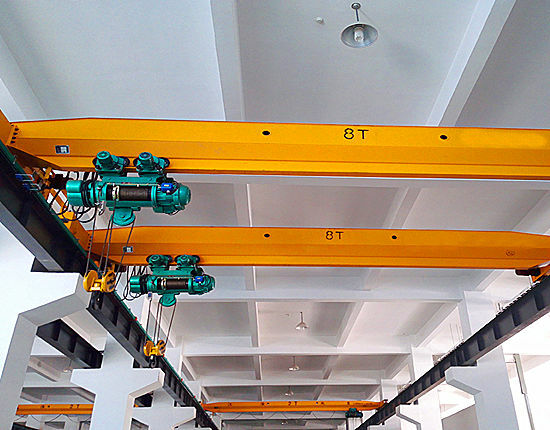 The ceiling mounted bridge crane is preferred when the existing workstation ceiling space is adequate or the floor space is limited, that is to say, the building ceiling is high enough to support the crane. By mounting the bridge on the existing support columns, you will save a lot of cost, whereas the free standing crane is applied when the roof space is inadequate, or you want a more flexible crane which can increase the work areas easily at any time. 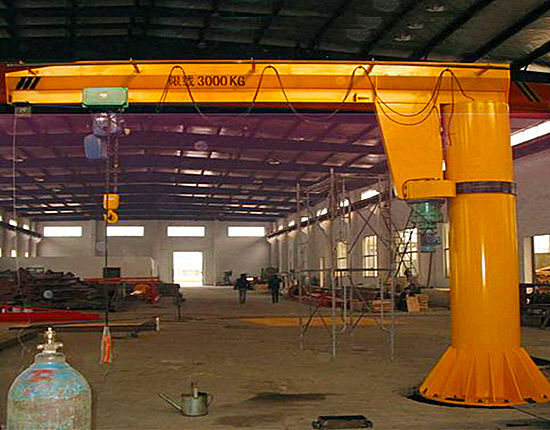 The free standing overhead crane can be relocated easily in your workstation or other new places. 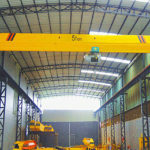 Monorail overhead crane has a simple structure, which is used to lift and move materials in a fixed path. 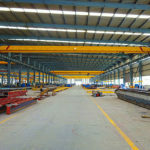 Which type of workstation overhead crane you should choose highly depends upon your building and floor space, your requirement for capacity and headroom, etc. 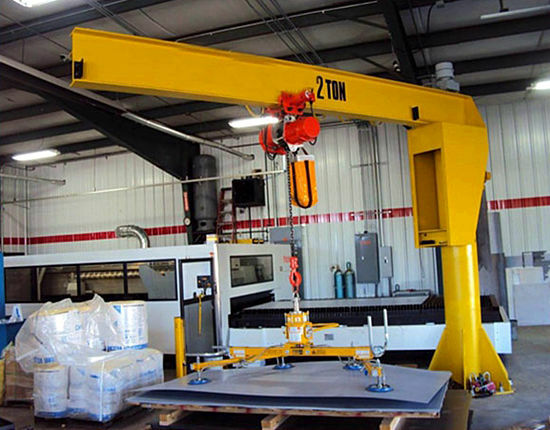 The workstation overhead crane can be a fast and effective lifting solution when repetitive loading and unloading goods or lifting large and heavy loads are required. It can achieve effortless, safe and reliable work for material handling in a wide range of application. 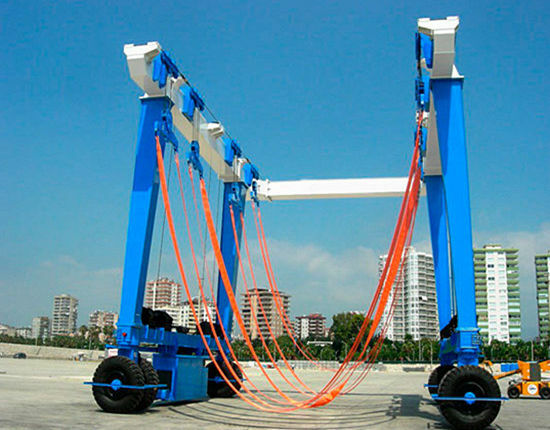 Users will benefit a lot for adopting this overhead lifting equipment. Users can make the most of the building space to build the crane either on the support columns or in a free standing type. Which design is feasible is based on the physical conditions of the building. As a substitute for human labor, it eliminates the busy and heavy work, greatly saving the labor cost in the productionline and improving the working efficiency. Highquality components and configuration ensure a smooth and reliable operation, and also facilitate the service life. It requires little maintenance work, thus saving a lot of operating and maintenance costs. 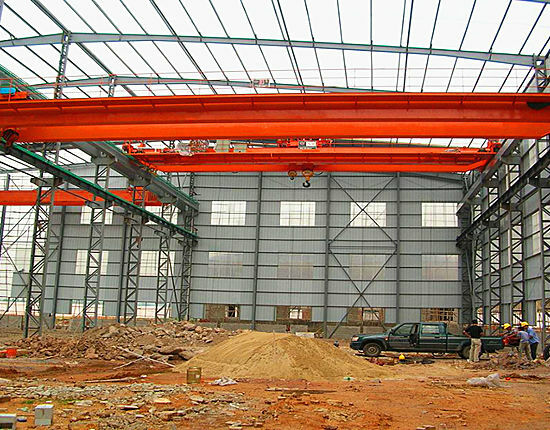 The cranehas simple structure and easy installation, and it exerts less pressure on the building structure. Its advanced design also ensures accurate positioning. The workstation crane is mainly composed of bridge, trolley with lifting mechanism, the crane running mechanism, control room and electric control system. The crane generally completes three types of movements, namely, the forward and backward movement driven by crane running mechanism, the left and right movement along the bridge driven by trolley running mechanism, and the lifting movement driven the lifting mechanism. 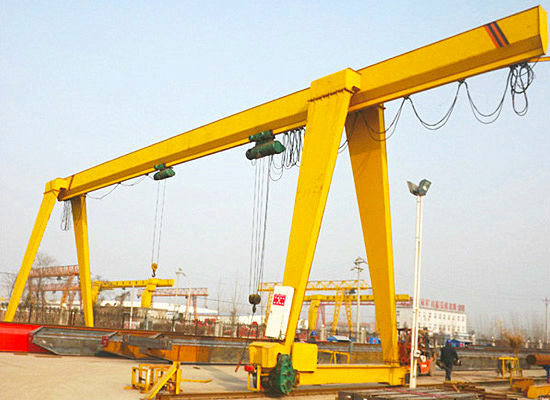 The bridge is the basic component of the overhead crane, mainly including main beam and end beam. 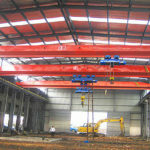 The main beam spans over the workshop, connecting with end beams at both ends of it. The crane running mechanism consists of motor, brake, transmission shaft, reducer and wheel groups. There are two driving methods: centralized driving and separate driving. At present, most bridge cranes in China adopt separate driving with the advantages of light weight, convenient installation and maintenance. The trolley running mechanism moves along the track on the main beam. 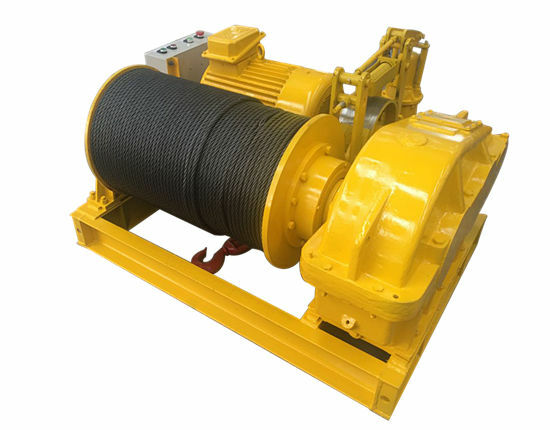 It mainly consists of motor, reducer, reel and brake with buffers and limit switches provided at both ends of running mechanism. 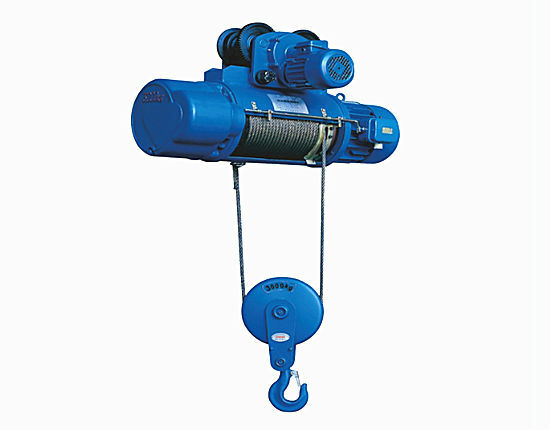 The lifting mechanism usually adopts hook, grab or other spreaders as the lifting device. Besides, it is equipped with protection devices such as overload limiter, lifting height limiter and speeding protection switch to ensure a safe loading. Users should conduct a thorough examination of the crane regularly like once a year to maker sure the equipment is safe to use. The crane operator should be trained and competentfor the safe operation. Improper operation of the crane should be avoided to minimize the accidents. The crane and its accessories should be checked and maintained properly to make sure every part of it is in good working condition. Apreventive maintenance is also suggested. Why Choose Crane from Ellsen? 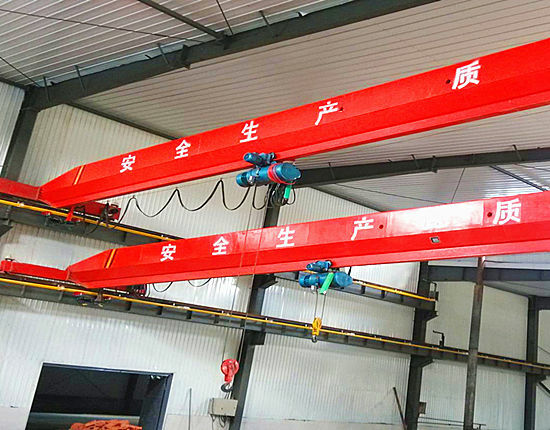 Among China workstation bridge crane manufactures, we are leading manufacturer and supplier of overhead crane with over ten years’ experience, during which we have encountered numerous cases and solutions, accumulating lots of designing, manufacturing, and service experience. We are also capable of providing customized solution for your specific application. Our advanced technology and precisionmachining ensure high quality products. We have embraced ISO and CE certificates to prove our qualification and also as a way to monitor our manufacturing, quality, and service system. We have professional engineers to provide technical support, and the onsite supportand guidance are also provided if necessary. We promise to deliver the overhead crane on time, and the crane warranty lasts 12 months, within which we provide ongoing professional technical support and service. 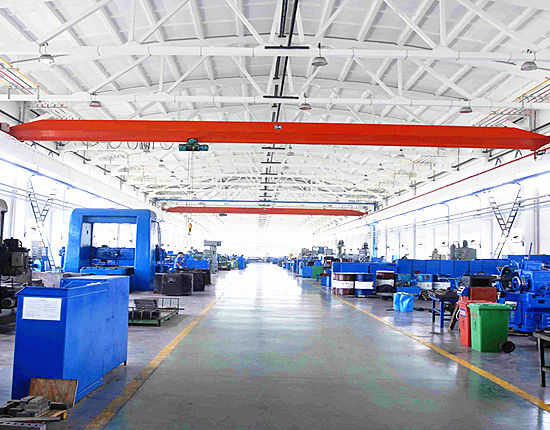 Besides workstation crane, we also manufacture factory overhead crane, warehouse overhead crane, garage overhead crane, foundry crane, magnetic overhead crane, etc suitable for the unique need of every customer. You can find what you need in Ellsen, so please feel free to contact us, and you will get a best quotation at competitive cost!